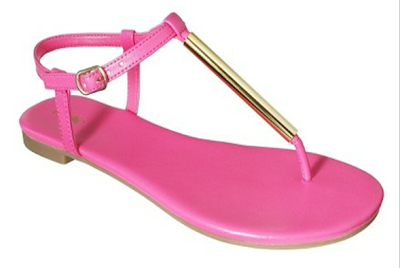 Color is so in right now, and I've been lusting after these hot pink DV by Dolce Vita sandals. Look how gold and shiny and bright they are. They're $69...and all I have to say about that is whomp whomp. Luckily Target is way on top of it, and has a super cute version for just $14.99! For more make it or fake it posts, check here.